The revamped "Scroll of Resurrection" promotion allows you to join your friend's server and automagically boost your character to level 80. Update: The World of Warcraft website confirmed the free offers below and the "Scroll of Resurrection" is now live. Some new tidbits: the rewards for the player inviting you to come back into the Azeroth fold gets a Spectral Wind Rider or Spectral Gryphon flying mount, presumably based on your faction, and the resurrected get a week of free play time. Also of note, the new scroll will only grant the big-time freebies for the next 90 days, after that the Scroll will go back to only granting the free play time. More can be found out here on Blizzard's handy-dandy FAQ, or you can just skip to ruining someone's day with the ultimate temptation by sending the bugger. Original: What do you do when your subscription numbers are lagging? You hold a firesale and make everyone happy. 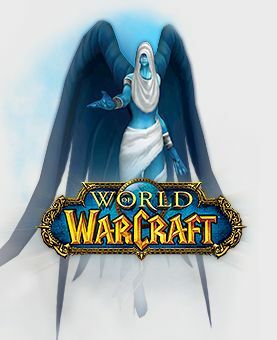 World of Warcraft has always had ways for friends to connect in Azeroth, and the Scroll of Resurrection promotion was a way to get lapsed players back into the game - and give bonus playtime to the currently paying customer. The Scroll went offline recently and rumors on WoW fansites swirled that Blizzard was busy coming up with a new plan. The new and improved Scroll of Resurrection surfaced briefly on the official WoW site earlier today before Blizzard took its whole account services section down for maintenance - which is always on Tuesday for Blizzard games and websites - but not before we had a chance to look at the perks. Now, never mind the monetary benefits of the switches (totaling at least $55, more if you haven't bought Cataclysm yet) the thing that makes me pause is the auto-leveling. Sure, it stinks having to run the gauntlet of leveling your toon, not even getting to play with your friend as he or she runs the top-level instances and raids, but that's what an MMO is. If you can just give someone the experience needed to be level 80 now, then what was the point of playing that whole time? On the other hand, I understand that WoW is a service and not strictly a game anymore. I know paying customers have been enjoying all the various content and systems for all that time, and suddenly making a character level 80 doesn't diminish that experience. I know that in my heart. But, come on. Really? Free leveling? The gold trimming on the World of Warcraft logo has begun to tarnish. After peaking at around 12 million subscribers in 2010, Blizzard's flagship MMO started bleeding subscribers like a stuck pig. The Irvine, California-based company that's now half of Activision tried all kinds of tactics to keep users glued to Azeroth and the efforts were successful in reducing the hemorrhaging to a trickle as subscriber numbers have only decreased by about 100,000 between September and December of 2011, according to the latest released numbers. Maybe, just maybe, The Old Republic stole a little more subscribers than Blizzard is comfortable with, and this new Scroll of Resurrection is a way to combat that. Or, maybe one of the higher ups realized that this scheme might not be that great of an idea.